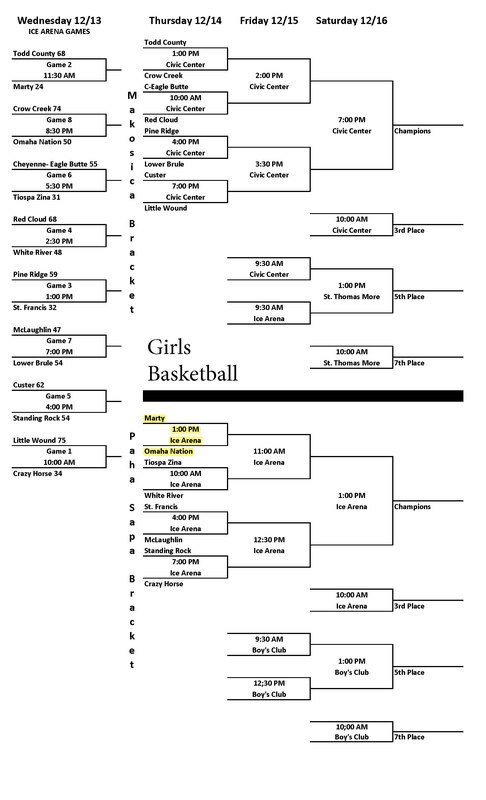 Brackets for Thursday's games are now posted on the LNI Website. Coming up today, the Lady Chiefs square off against the Marty Braves at 2:00pm central time. That evening, the Chiefs take on the Custer Wildcats at 9:30pm central time. Both games take place in the Ice Arena and might not be broadcast on the South Dakota Public Broadcasting live feed covering Barnett Arena. The LNI does have live scores available to follow the games. Note: Times of the brackets posted below are Mountain Time.